Underground Stormwater Detention Tanks are used to control stormwater runoff. Stormwater runoff needs to be managed on commercial as well as residential sites. Excess runoff is a hazard especially during large rainfall events. Who makes Drainwell Underground Tanks ? Drainwell Tanks are made by Novaplas Group. The tanks are made from 100% recycled materials. Drainwell Drainage Cells are easy to install and also provide a solution to many constraints on building sites. Drainwell tanks have many uses. 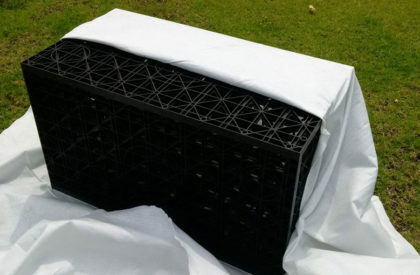 The Drainwell stormwater crate system can be used below vehicle areas, due to its high crush strength. Drainwell panels have moulded ‘cut out’ rings. A hand held jigsaw can be used to cut out these rings so that pipes can be fitted. Drainwell tanks are the solution to many WSUD issues. What is Stormwater Detention ? Certain councils have specific stormwater codes. They can vary for different land developments. 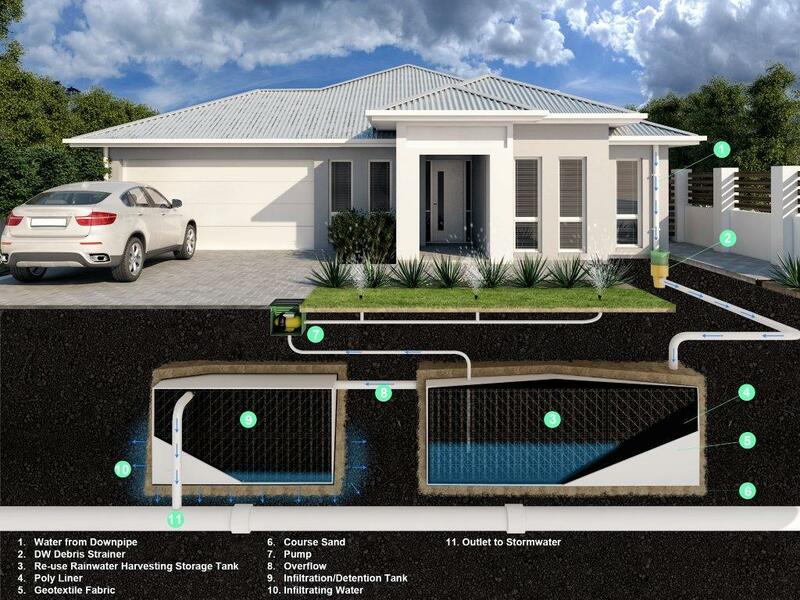 Drainwell Cells are used to detain excess stormwater. The water is stored and then discharged into either stormwater pipes or channel systems. Many new buildings require Onsite Detention Tanks (OSD Tanks). 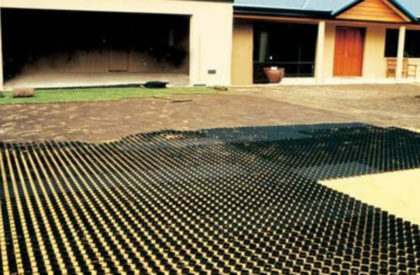 Stormwater Detention is necessary due to an increase in the number of dwellings within Council areas. Increased housing density has resulted in more hard surfaces. Furthermore, the water from these surfaces needs to be discharged into the Council drainage system. As a result, stormwater detention tanks are a Council requirement in many development approval processes. Drainwell Crates are also used to retain stormwater for reuse. The runoff comes from car parking areas, golf courses, racecourses, as well as sports fields. Therefore, this water can be used for irrigation. Captured rain water is much healthier for your garden than treated water from the mains. Drainwell cells are also used for absorption tanks, since water can permeate back into the natural water table. 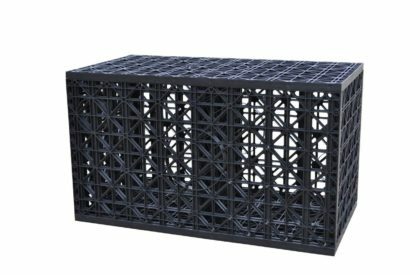 Drainwell soakaway crates are used specifically as soakwells. Call Novaplas Group today to find out more. Cells can be installed below car parking areas because they are trafficable. The tank is underground, as a result, the surface above the tank can be used for car parking or landscaping. Transport and installation of Drainwell is easy when compared to concrete and gravel systems. Drainwell cells have a 95% void area. Therefore, a greater volume can be achieved in a smaller area. The cells are made from a 100% recycled polypropylene. Drainwell Cells are used specifically for underground tanks.